Apple Mac family has been out there for years and receives mostly favorable reviews. One major drawback is that it has not seen a significant design change since release as Apple focuses on hardware upgrades. A reliable source recently confirmed that Apple has been working on a new design language used on its future Macs. Last year, Apple announced a refresh to its MacBook Pro laptops with the same old design and hardware improvements. As a longtime MacBook user, an old design is not a bad thing as it still looks gorgeous on the outside. Apple says that the 2018 MacBook Pro is 17 percent lighter and 14 percent thinner than the 2017 models while maintaining a firm grip for protection. Perhaps the most significant change is to the 15-inch MacBook Pro with a 9th Generation Intel Core i9 CPU. That’s a $300 addition to a model that’s already very expensive on the market. With an update to Core i9 CPU, Apple’s Pro laptop significantly narrows its performance gap with the iMac lineup. One question that we get asked a lot is “is the Core i9 MacBook Pro worth the upgrade?”. 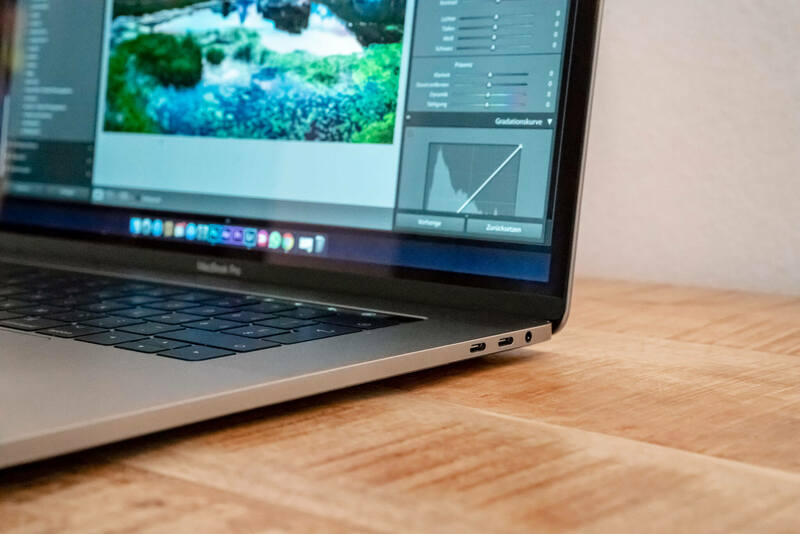 In this article, I will help you find out if the Core i9 MacBook is right for you. Buying a new MacBook Pro is a big investment, and there is no exception to the 2018 MacBook Pro. The standard 15-inch MacBook Pro now costs up to $2,799 in the US and you can configure it with a Core i9 CPU, Radeon Pro Vega 20 GPU and 32GB of RAM. That’s up to $3,849 in the US. If you focus on the storage and you crank this thing up with 4TB, then that’s a $6,649 price tag, which is absolutely insane. For a much lower price, you can get competing products from the likes from Microsoft, Asus, or Dell. The 2018 XPS 15 with maxed-out configurations now retails for $3,299 in the US. That’s still a lot of money, but if you are a professional user who frequently engages in intense-CPU work, then it’s worth considering a huge investment. 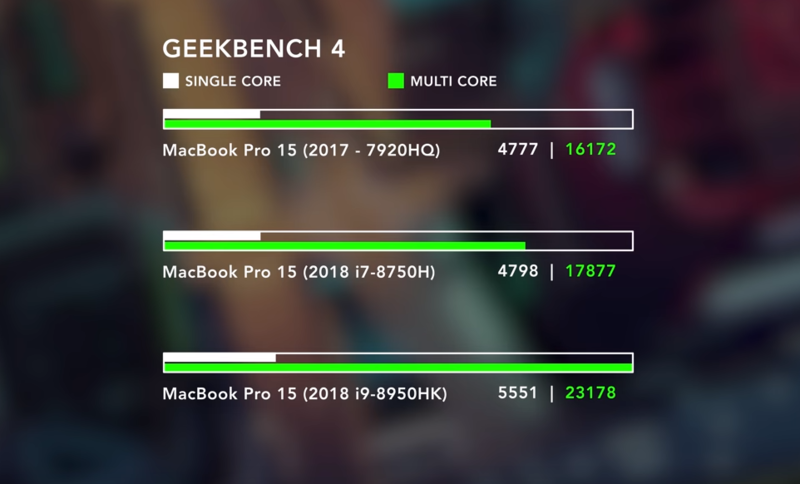 The i9 is a very powerful CPU when compared to the i7 found inside the standard MacBook Pro. Indeed, this thing is a beast when it comes to multi-core applications, reaching over 23,000 benchmark scores. I also ran some video-rendering tests with Adobe Premiere Pro, and the results were surprising. 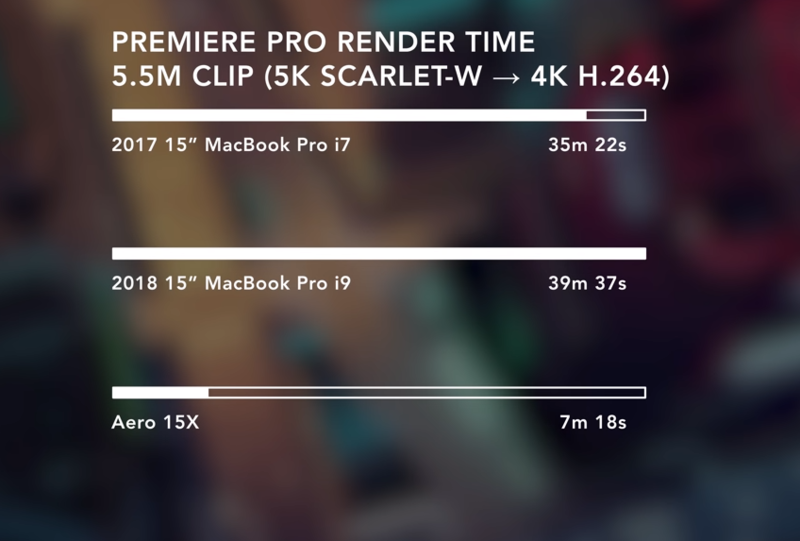 During my test with Premiere Pro, the i9 MacBook Pro was a little slower when compared to the i7 model and GIGABYTE Aero 15X. Also, it throttled a little bit, which slowed down the performance (i will mention this later in this article). As for the GPU performance, the 2018 Core i9 MacBook Pro gets a small graphics upgrade from its predecessor with Radeon 560X. However, you can configure your machine with a Radeon Pro Vega 20 graphics card for superior performance. This thing is unstoppable when it comes to stabilizing a 20-second 4K video with Final Cut Pro. 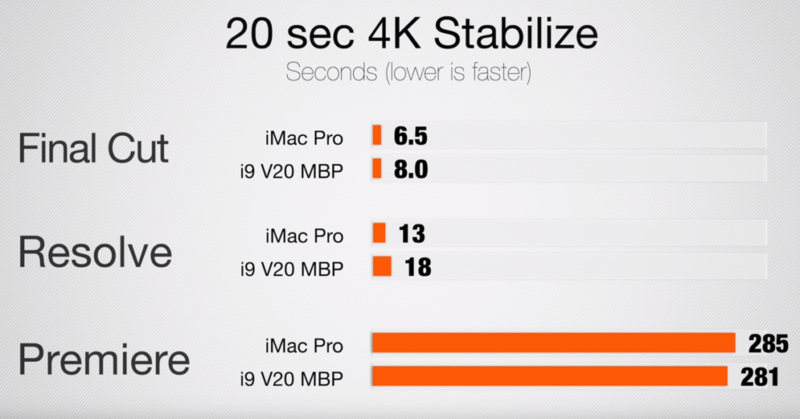 The 2018 MacBook Pro with Vega 20 took 8 seconds to stabilize a 4K clip, while the iMac Pro took 6.5 seconds. 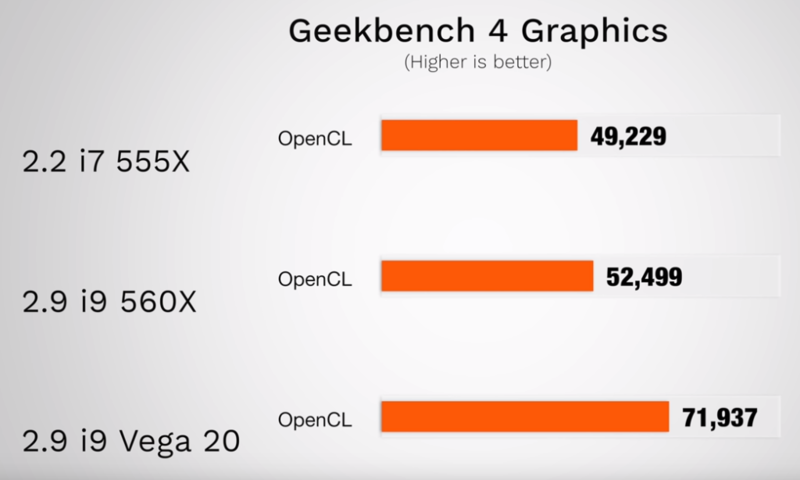 I also ran some graphics tests with OpenCL, and the Vega really makes a difference when compared to the 555X and 560X GPUs. When it comes to gaming, the Apple MacBook is never meant to be a gaming device. In reality, there are still a lot of cool games for Macs out there, however, I have to admit that under Windows 10, the Vega 20 really outperformed itself under MacOS. In reality, I got around 49 frames per second when running Windows using BootCamp and 38 frames per second under MacOS. I suggest your Mac runs Windows 10 using BootCamp for better gaming performance. I tried playing some games on the MacBook Pro with Vega Pro 20 GPU like Call of Duty Black Ops 4, Battlefield 5, or Fortnite. As for Black Ops 4, the game ran between 45 and 60 frames per seconds on medium settings. When I lowered some settings like the anti-aliasing and resolution to 1080p, I got a better frame rate ( around 90 fps). Also, Battlefield 5 and Fortnite run smoothly on the MacBook Pro at decent settings (between 50 and 60 fps). If you are in the market for a MacBook Pro that can handle new games at decent settings, then the 2018 model is worth the shot. Power throttling and thermal throttling are not anything new when it comes to Apple MacBook. In reality, there have been a lot of complaints about thermal throttling on the 2018 MacBook Pro. 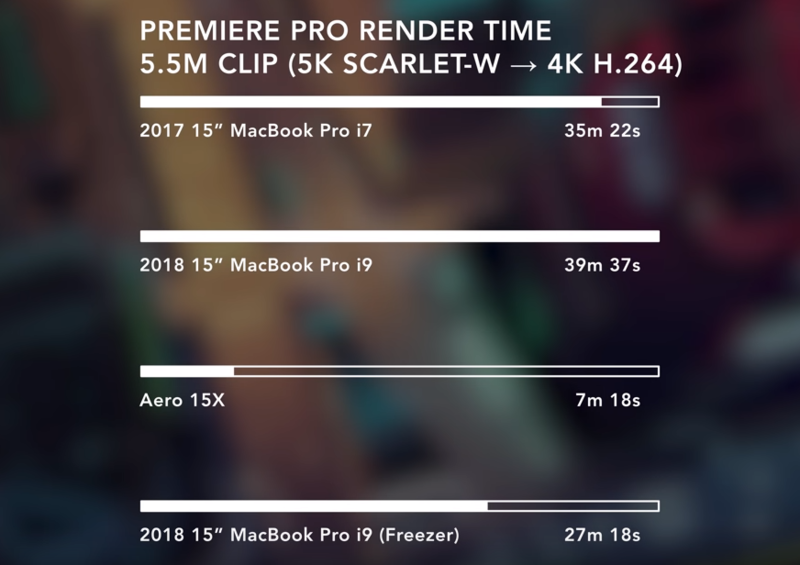 A guy on YouTube decided to put the MacBook Pro into the freezer, ran some render tests with Adobe Premiere Pro, and the results surprised me. In reality, Apple acknowledged the issue and released a fix. And Apple recommends your Mac runs macOS High Sierra 10.13.6 or higher, which includes a fix for thermal throttling. I ran some rendering tests with Final Cut Pro and noticed some positive changes. The MacBook Pro took only 2 minutes and 24 seconds after the update to finish exporting videos with Final Cut Pro. Meanwhile, the temperature reached as low as 88 degrees. The 2018 i9 MacBook Pro is a great laptop on the market. However, the bad thing about the laptop is its price. If you are a pro user with advanced needs like video rendering with Final Cut or Adobe Premiere, and software development, this is the MacBook Pro you seek. Previous articleApple iPhone XS vs Samsung Galaxy S10: Which one is right for you?